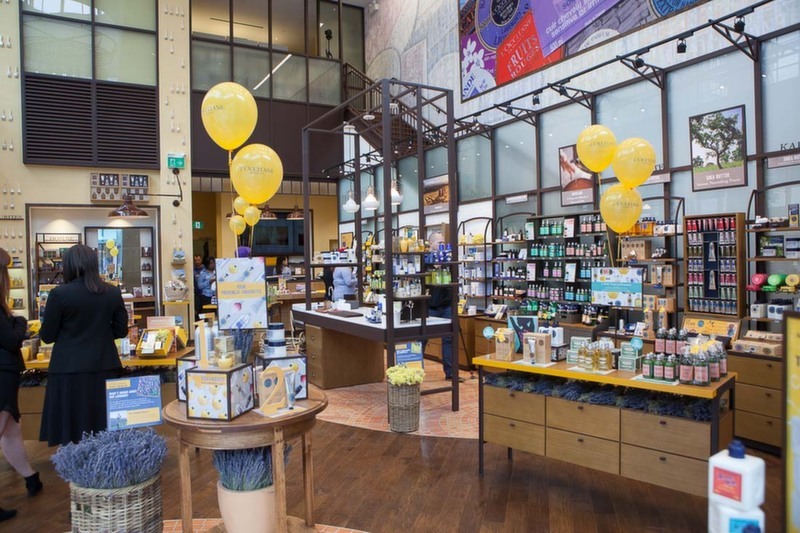 L’Occitane en Provence opens its Vancouver flagship store. 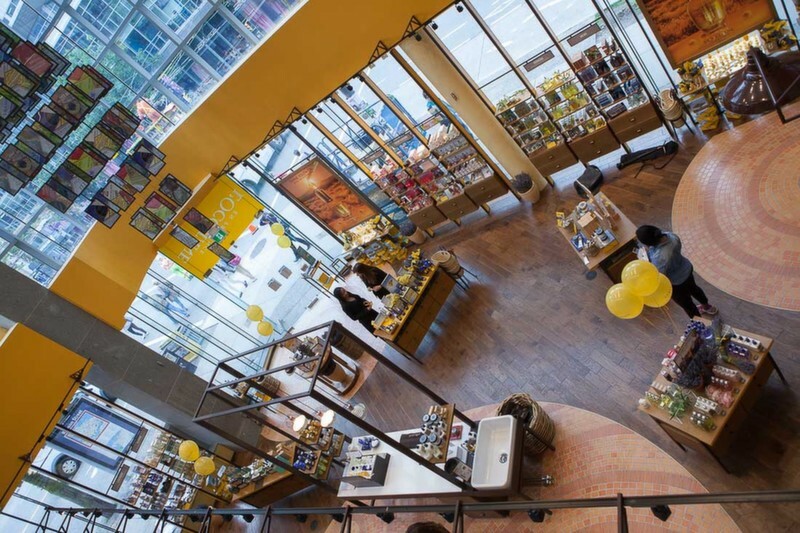 The two-level store replaces part of the former Bebe space at at the corner of Robson and Burrard Streets. 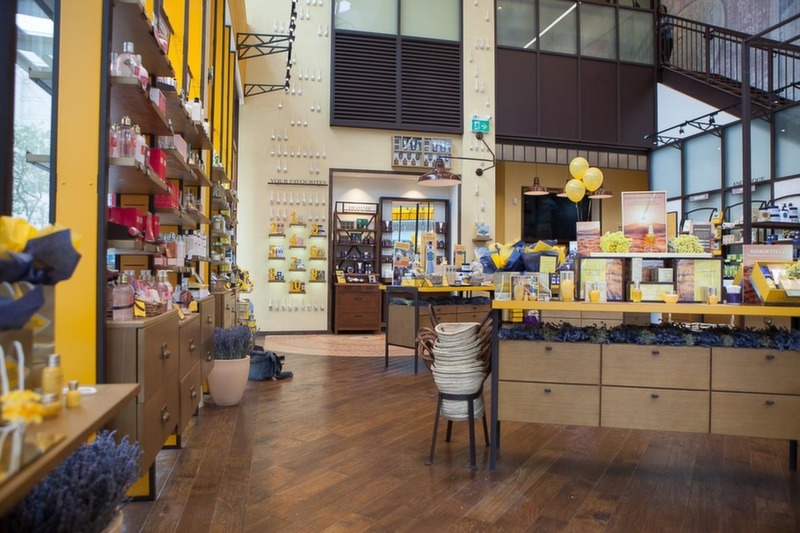 L’Occitane was Founded in Manosque, France, in 1976. 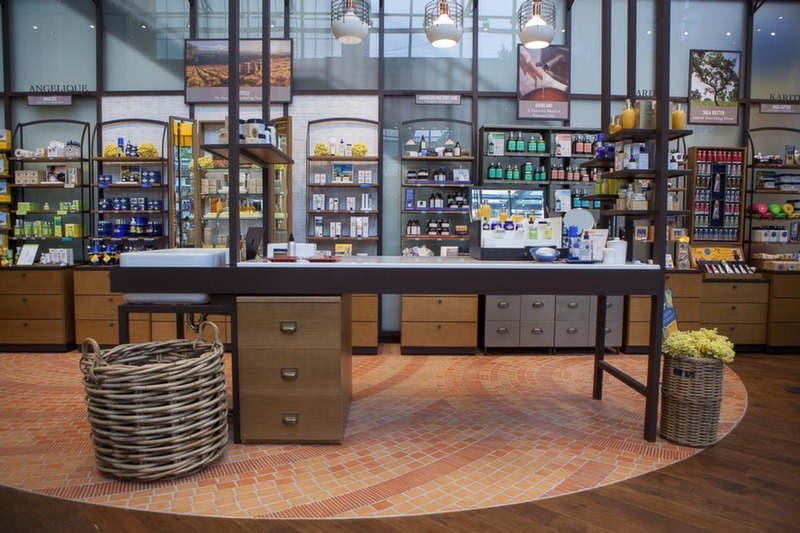 It retails body, face and home products in its roughly 2,000 shops in over 100 countries worldwide. 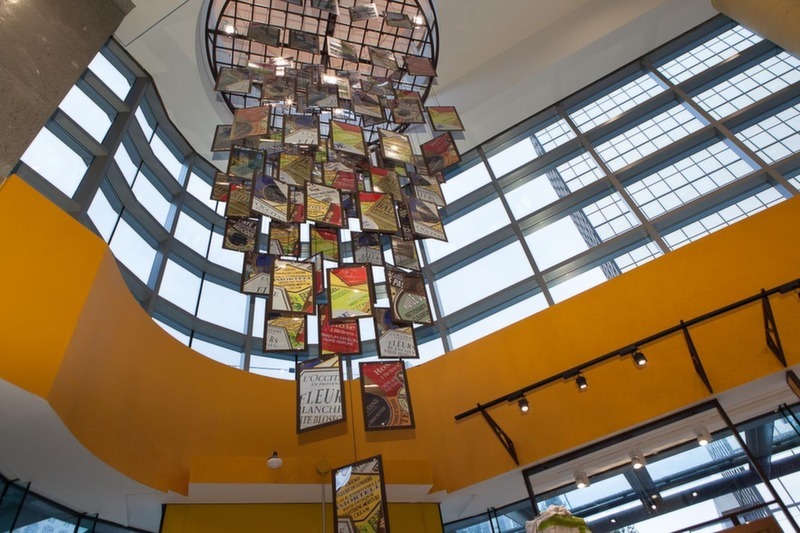 It has 29 free-standing Canadian stores spanning the country, from Victoria to Halifax. 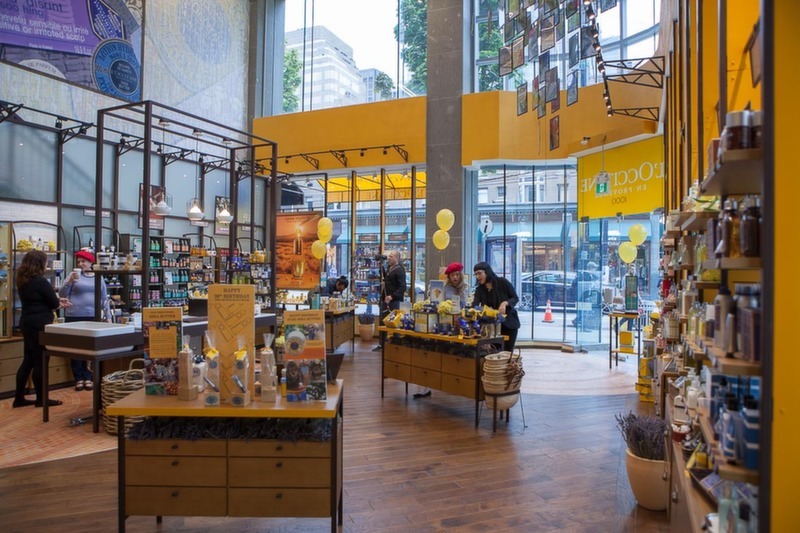 The entire 1000 Robson Street building includes 4,000 square feet on its ground floor, as well as a 1,000 square foot mezzanine. 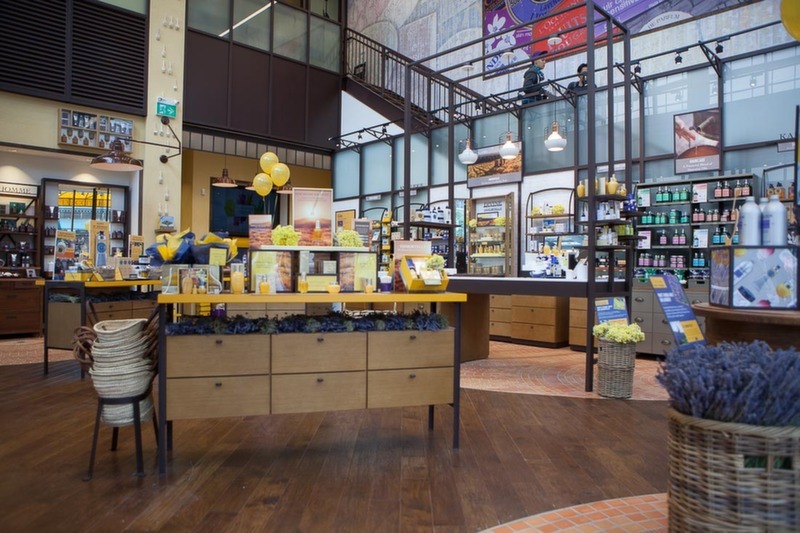 L’Occitane will occupy only part of the 5,000 square foot space. 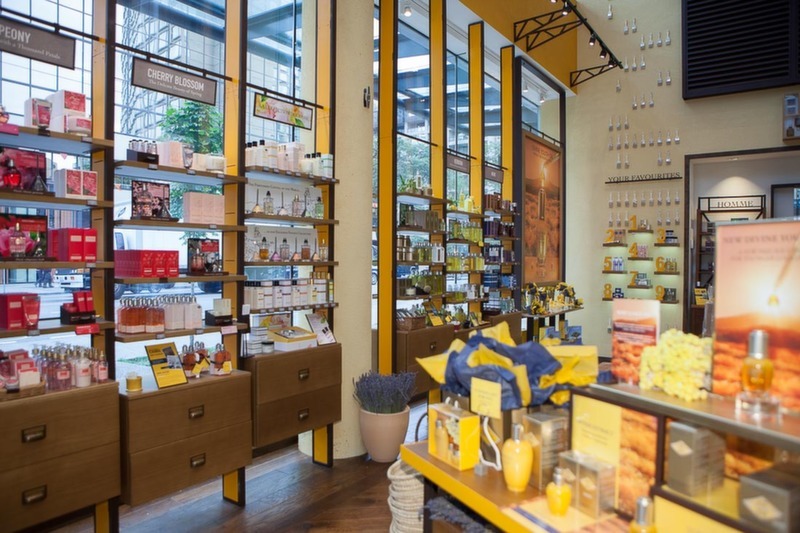 L’Occitane vacates its smaller space at 101-755 Burrard Street, only a few paces north of its new store. 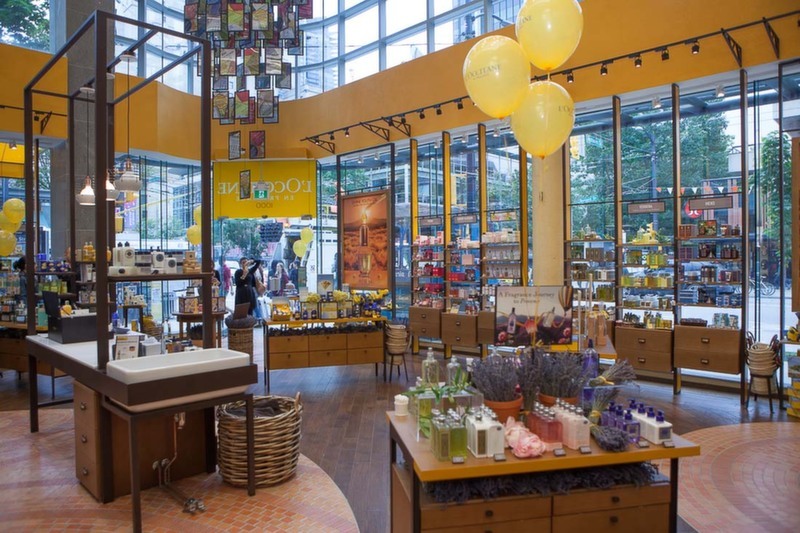 The new L’Occitane will share the Robson and Burrard intersection with other prominent flagship retailers. Roots Canada, occupying the intersection’s northwest corner, is about to embark on a renovation and expansion of its 4,000 square foot flagship. Lululemon’s Robson Street flagship is on the intersection’s southeast corner, and the world’s second-largest Victoria’s Secret store dominates the intersection’s northeast corner. 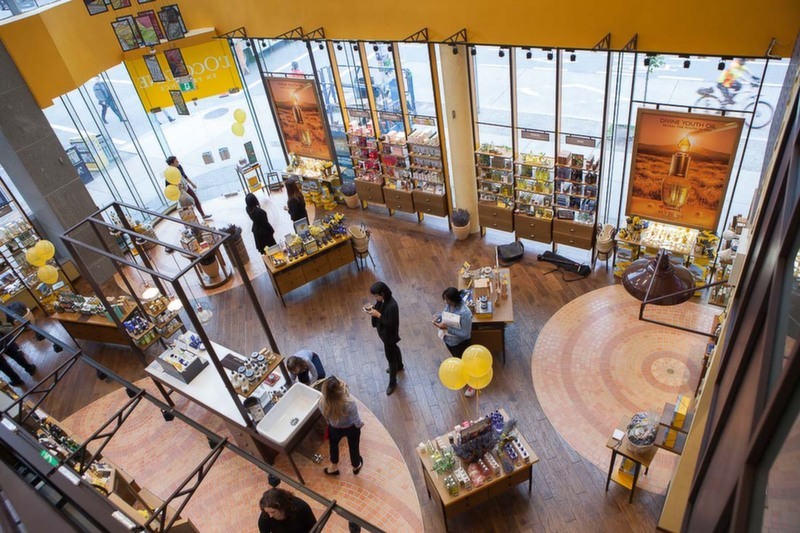 L’Occitane’s new retail space has an interesting history: before selling for a record-setting price in 1999, 1000 Robson Street was home to a Toronto Dominion Bank. As a nod to its past, TD bank machines continue to operate along the Burrard Street side of the building. 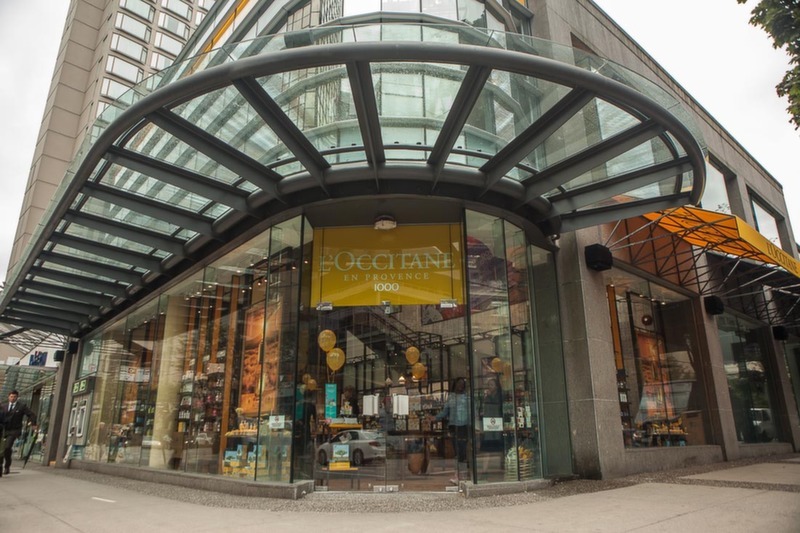 In the late 1990’s, the sale of 1000 Robson Street was considered record-breaking, exceeding $1,000 per square foot. Nowadays, that sale price would be a bargain. Robson Street’s rents are among the highest in Canada, sometimes exceeding $200 per square foot per year. Only Toronto’s Bloor Street commands higher rents.